World War II changed forever the face and fate of the world's lands and peoples. 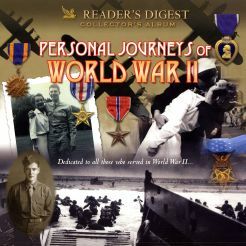 This four-volume set, narrated by Glenn Ford, relives some of the war's most important moments. The story is told through the remembrances of some well-known Americans, including Gerald Ford, Robert Dole, and William Manchester. This episode chronicles the early days of the war, tracing Hitler's brutal march through Europe, the defiance of the British led by Winston Churchill, the Soviet-German Pact, Mussolini's strategies, and America's entry into the war after the Japanese attack on Pearl Harbor. Recollections are accompanied by archival news clips and photographs.